Liz Callaway & Ann Hampton Callaway who recently performed with “Broadway for Orlando” at the Democratic National Convention where they joined over 50 Broadway stars to sing the classic Burt Bacharach Hal David song “What the World Needs Now Is Love” will be in concert this Sunday July 31st & Monday August 1st at the Crown & Anchor at 247 Commercial Street in Provincetown, Massachusetts. Ann Hampton Callaway stated, “Singing ‘What the World Needs Now is Love’ at The Democratic National Convention with my sister Liz, my nephew Nicholas & over 50 Broadway stars was one of the most thrilling & moving experiences of our lives. As 30,000 people erupted into joyous cries of “Love, love, love, love, love” after we sang, we witnessed the power of music to unite & uplift people. 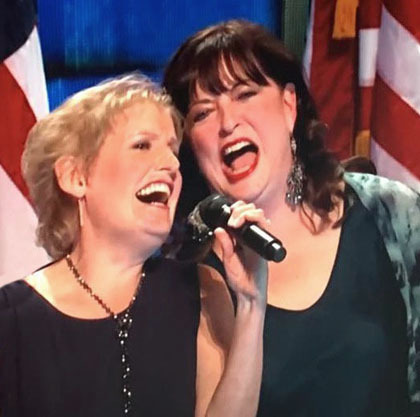 Liz & I can’t wait to come to Provincetown with our heightened spirits this weekend & sing the roof off at The Crown & Anchor!” Liz Callaway added, “First, the Democratic National Convention, then Provincetown this Sunday & Monday. This is a really good week for Ann & me.” Liz Callaway & Ann Hampton Callaway in Concert is part of the 2016 Broadway Series at the Crown & Anchor. Shows are at 8P both nights & tickets run from $70 to VIP Tickets at $130. 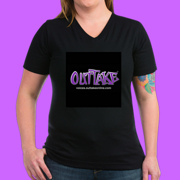 We at OUTTAKE VOICES have supported Hillary Clinton for President since we launched our media network in 2007. 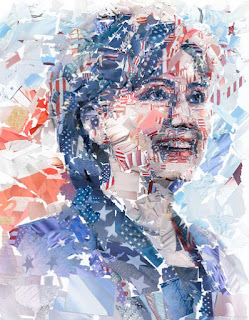 Last night finally seeing Hillary accepting the Democratic Nomination for President was very emotional. Not only because she made history by becoming the first woman to be endorsed for president by a major political party in this country but she also made a point to embraced our entire LGBT community. 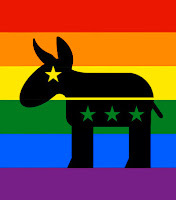 When I attended the 2004 DNC Convention in Boston speakers could hardly even utter the word gay. Now 12 years later the DNC Convention displayed real LGBT inclusion in almost every speaker’s speech. 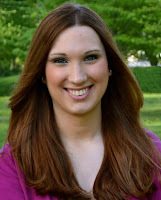 We also had Chad Griffin President of the Human Rights Campaign passionately representing our community & Sarah McBride became the first openly transgender person to speak at a major party convention & she rocked it. 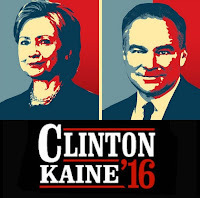 Hopefully next time though it would be nice if our LGBT leaders received a better time slot but you can see their speeches on HRC. Now for a bit of compassion & advise for all the diehard Bernie Sanders supporters. 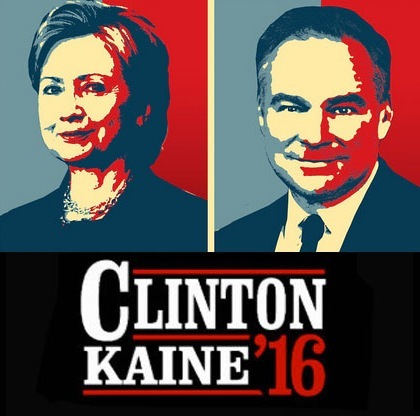 We totally understand how difficult & painful this nomination has been for you. 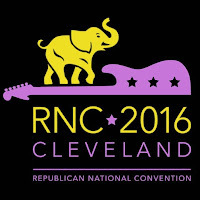 We feel your pain because we felt exactly that way 8 years ago when Barack Obama became the democratic nominee. But we took the high road & got behind the candidate & last night 8 years later we celebrated. In conclusion we must do everything we can in our collective power to defeat Donald Trump. He is a dangerous threat to our freedom & everything this country stands for. 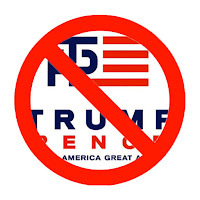 Hopefully his hate spewing campaign will self-implode but in case it doesn’t we will be doing everything we can to make sure Hillary Clinton becomes the 45th President & we will continue to move forward together. There will be a benefit concert to support Equality Florida & The GLBT Community Center of Central Florida on Sunday July 31st at New York’s famed Webster Hall, 125 East 11th Street in the Marlin Room at 8P. 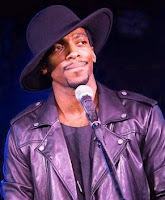 Hamilton’s Daniel J. Watts (HBO’s “Vinyl,” Motown the Musical) & Watts Words Productions in association with Broadway Cares/Equity Fights AIDS presents Daniel J. Watts' THE JAM: LOVE TERRORISTS A Benefit for Orlando. Watts a poet, performer & activist stated, “In light of the recent events, most notably the horrendous mass shooting at Pulse night club in Orlando that rocked the world last month, we need to galvanize the masses to speak openly, honestly, & sincerely about our fears & differences so that ultimately we can come together as a society. I aim to do that with this original THE JAM: LOVE TERRORISTS. It is paramount that we support each other & use our talents to the betterment of humanity.” A play-on-words, THE JAM pays homage to Watts’ great-grandmother who, after making jam from scratch, would share with others what she was unable to consume herself. THE JAM is Watts’ continuation of that legacy featuring his original spoken word, often set to music & or dance. THE JAM: Love Terrorists is a veritable call to arms, demanding any and all to terrorize with love. The final lines of the title poem read: Life is a blessing and then you die. What better way to die than from loving to death? Love is a weapon of mass construction. 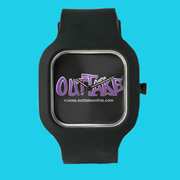 Use it at your leisure. These are our demands. This fabulous Provincetown event comes in the middle of a very busy summer for the Attorney General Maura Healey who is almost halfway through her second year in office. The reception honoring Attorney General Maura Healey takes place Sunday July 31st at the Crown & Anchor at 247 Commercial Street in Provincetown, Massachusetts from 5:30P to 7P. This event will provide the opportunity to celebrate & hear about what crucial issues AG Healey is addressing for Massachusetts & especially for our LGBT community. Attorney General Healey stated, “I’m so excited to be in Provincetown with many of our old friends & hopefully, a lot of new ones. The support I continue to receive throughout Massachusetts is so encouraging & so important given the issues we’re taking on every day in our office.” Earlier this month Maura led a public bill signing for the state’s powerful new transgender equality law & in the aftermath of the Orlando Massacre she issued an important & courageous new directive on assault weapons in Massachusetts telling gun dealers they can no longer sell copycats of many of the same weapons used in recent deadly mass shootings. Healey is also leading a group of Attorney Generals taking on Exxon Mobil over their efforts to mislead the public on climate change. Don’t miss out on this important intimate gathering with Healey’s team & Event Chair Bryan Rafanelli & the Host Committee including Jacques Abatto & David Goldman, Mary Breslauer & Rebecca Haag, Elyse Cherry, Sean & Kelly Curran, Lisa Drapkin, Christopher Flynn & Daniel Newton, Gabby Hanna & Marcy Feller, Jack Hornor & Ron Skinn, Arline Isaacson, Steve Kerrigan & Jacob Watts, Marc LaCasse & Todd Katzman, Janet Lehman & Ann Maguire, Neal Minahan, Rick Murray & Bill Dougal, Rick Musiol, Eleanor & Ro Pannesi, Hon. Sarah K. Peake, Kate Perrelli & Lynn Kappelman, Alix Ritchie & Marty Davis, Lynda Tocci & Hon. Dan Wolf. The NBA announced it will move their 2017 All Star Game from Charlotte, N.C. to another state because of North Carolina’s controversial anti-LGBT House Bill 2 law stating, “While we recognize that the NBA cannot choose the law in every city, state, & country in which we do business, we do not believe we can successfully host our All Star festivities in Charlotte in the climate created by HB2.” Jason Collins the first openly gay NBA player added, "As a member of the NBA family & as a gay man, I’m extremely proud to see the NBA take initiative & move the All Star Game from North Carolina. Their decision is an extremely poignant one & shows that discrimination of any kind is not welcome in sports & is not acceptable in any part of our society. 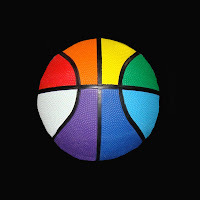 The NBA has set the best kind of example & precedent moving forward for all to follow." We definitely hope the NBA will consider Massachusetts to be the home of their 2017 All Star Game. Massachusetts House Speaker Robert DeLeo called on the All Star Game to come to Boston following the NBA announcement that it would seek a new venue other than Charlotte, N.C. Especially now that Governor Charlie Baker recently signed into law “An Act Relative to Transgender Anti-Discrimination” which prohibits discrimination on the basis of gender identity in public places in the Commonwealth joining 17 other states, Washington D.C. & more than 200 cities & towns across the country that have passed non-discrimination laws protecting gender identity in public spaces. Before Republican nominee Donald Trump takes the stage in Cleveland once again, HRC has passed on some interesting & crucial facts all LGBT Americans & allies should know about Trump’s position on LGBT civil rights provided by JoDee Winterhof, Senior Vice President for Policy & Political Affairs for the Human Rights Campaign: Fact One: He has told multiple media outlets that he would appoint Supreme Court justices who would reverse nationwide marriage equality – a fundamental right that you & I fought to secure. Fact Two: Trump wants to sign the so-called "First Amendment Defense Act" into law, a bill to enable Kim Davis-style discrimination against LGBTQ people nationwide. Fact Three: He would encourage states to decide individually to enact discriminatory, hate-fueled laws like North Carolina's HB2. Fact Four: Trump says he looks forward to repealing President Obama’s executive orders, meaning the anti-discrimination order protecting LGBTQ employees working for federal contractors is at risk. 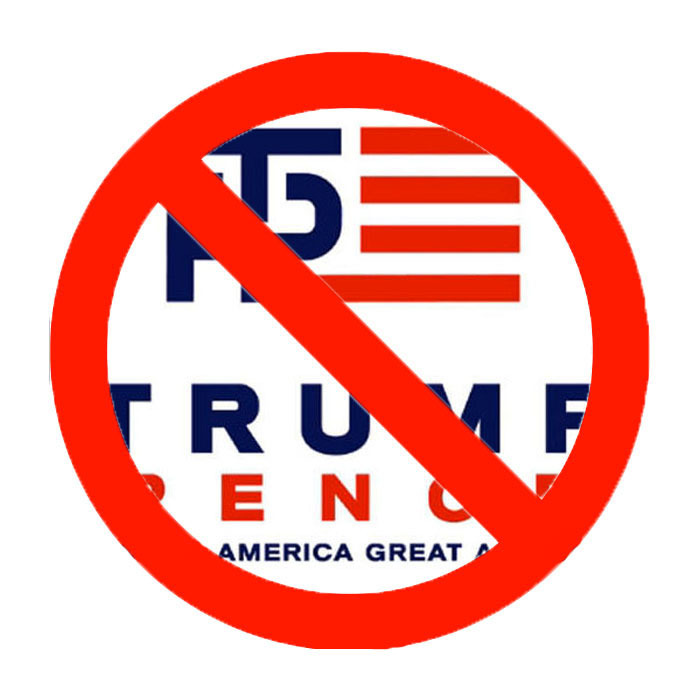 Fact Five: Throughout his campaign, Donald Trump has attacked, belittled & maligned anyone & everyone he considers different. So how scary is that? Remember this info as you watch Trump & his supporters on network television spew their dangerous rhetoric & make sure your friends & family have the facts as well as & don't forget that the Republican National Convention platform supports so-called conversion therapy, calls for the banning marriage equality, rejects LGBTQ families & bans transgender & gender non-conforming people from using restrooms that match their gender identity. 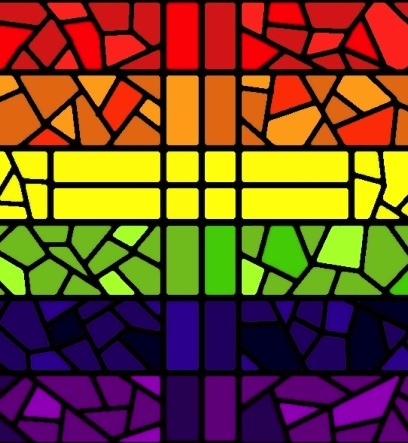 Union Theological Seminary will present leaders of the Orlando & New York LGBTQ faith communities for a public discussion about ways to build lasting bridges among faith groups & marginalized communities across the nation. The session is free & will be held on Thursday, July 21st 12:30P to 2P at James Chapel located at Union's Morningside Heights campus at 3041 Broadway at 121st Street in New York City. The mass slaughter at the Pulse nightclub in Orlando, Florida on June 12th left the nation reeling & searching for answers on how to stop violence against members of the LGBTQ community, lessen resentment of immigration & senseless gun violence. The Rev. Fred Davie, Executive Vice President of Union Theological Seminary who served by appointment of President Obama on the White House Council on Faith-based & Neighborhood Partnerships & currently serves on the New York City Mayor's Clergy Advisory Council will lead the panel discussion stating, "Bigotry in America is real -- it is ontological. It has being. Fear & insecurity are its lifeblood. It presents in all forms. Overt. Ugly. Aggressive. Lethal. Subtle. Micro. Genteel. And we feed our American beast of bigotry with fears of all kinds & arm it with guns & so it metastasizes into a mass killer of men, women & children. We need to begin a sustained national public conversation about concrete ways to reduce violence, increase respect & tolerance & tackle the festering & explosive underlying issues of race, bigotry & class in America. We at Union want to support this critically needed public discussion which is the basis for hope & a more peaceful future." All day we knew Melania Trump would be the keynote speaker for the primetime network media coverage of the first night of the Republican National Convention in Cleveland. 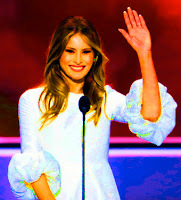 Then when she finally took center stage after being introduced by Donald Trump in his dramatic Hollywood entrance Melania delivered a speech that mirrored almost word to word phases from Michelle Obama's speech from the 2008 Democratic National Convention & instead of owning up to it Trump's campaign chairman Paul Manafort has taken the course of total denial. This is just the beginning folks. We warned you to fasten your seatbelts for this appalling display of the lowest possible denominator America has to offer & the GOP is living up to our predictions. I bet you thought it couldn’t get worse after they brought on Pat Smith the mother of a State Department IT consultant who died in Benghazi told the Republican National Committee that she personally blames Hillary Clinton for the death of her son Sean. Why stop there? Let’s blame every president for all the men & women that have died in war. Then we had all the Blue Lives Matter, Black Lives Matter & the mention of the killings that have taken place recently in this country with the total absence of the Orlando Massacre because we all know for the GOP our LGBT community doesn’t exist. At least not until they spew their anti LGBT rhetoric in our direction & you know they will. The Museum of Modern Art in NYC presents a complete mid-career retrospective of the films of Ira Sachs who in the course of seven features & five short films has established himself as one of the singular voices in American cinema especially for our LGBT community. From July 22nd to August 3rd “Thank You for Being Honest: The Films of Ira Sachs” will showcase the complete range of Sachs’s work from experimental shorts to insightful social comedies to piercing autobiographical dramas in the Roy and Niuta Titus Theaters. The series begins & ends with films that premiered at Sundance. “Forty Shades of Blue” (2005) which won the Sundance 2005 U.S. Dramatic Grand Jury Prize will open the retrospective. The July 22nd screening will be followed by a Q&A with Sachs conducted by Rajendra Roy, Celeste Bartos Chief Curator of Film at MoMA. Sachs’s later film “Love Is Strange” stars Alfred Molina & John Lithgow as a long-time gay couple was nominated for four Independent Spirit Awards in 2014. The series closes with Sachs’s most recent film “Little Men” (2016) starring Greg Kinnear, Jennifer Ehle & Paulina Garcia. The August 3rd screening will also include a Q&A with Sachs conducted by Roy. 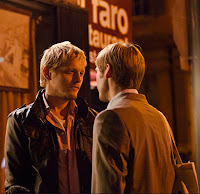 We interviewed Ira in 2012 in this exclusive audio byte when he talked about his most biographical film “Keep the Lights On” inspired by his own troubled 10-year relationship with a charismatic & drug-addicted partner that established Sachs’s position as a leading voice in New Queer Cinema. 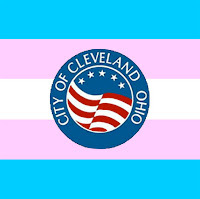 Cleveland has repealed by an unanimous vote its ordinance designed to stop transgender & gender non-conforming people from using the restrooms associated with their gender identity just in time for the Republican National Convention that takes place in the city next week. 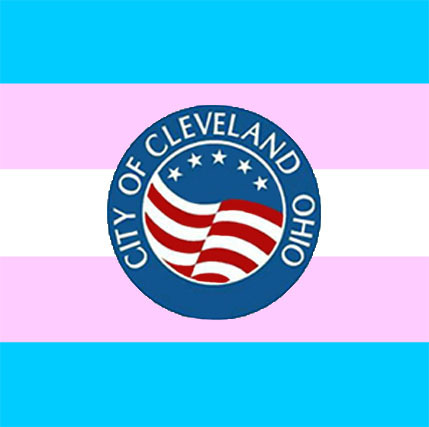 Kathleen Campisano, National LGBTQ Task Force Organizing Manager stated, “Our partners at Equality Ohio & Cleveland is Ready have done an outstanding job in delivering this victory today for Transgender & Gender Non-Conforming Clevelanders. For our part, at the request of Equality Ohio, the National LGBTQ Task Force Action Fund worked side-by-side with Cleveland is Ready to collaborate with communities, organizations & people of faith in Ohio beginning in early 2014 to develop a grassroots campaign — a campaign led by trans & people of color volunteers. In the first six months, we stayed on the ground in Cleveland, talking face-to-face with ordinary people at bus stops, in public parks, at coffee shops & in small businesses. These conversations opened hearts & minds to the possibility of lived freedom, justice & equality — which can sometimes be as simple as a person being able to use a restroom.” This advancement for our LGBT community comes after Massachusetts became the 18th state last week to pass into law “An Act Relative to Transgender Anti-Discrimination” which prohibits discrimination on the basis of gender identity in public places. So now in Cleveland if Caitlyn Jenner attends the GOP Convention next week to support Trump she can use the ladies room & watch the Republicans approve their anticipated strongly anti LGBTQ platform. Equality Forum the nonprofit organization based in Philadelphia, PA whose mission is to advance national & international LGBT civil rights through education has announced it will hold its Equality Forum 2016 concurrent with the Democratic National Convention from July 25th through July 28th. 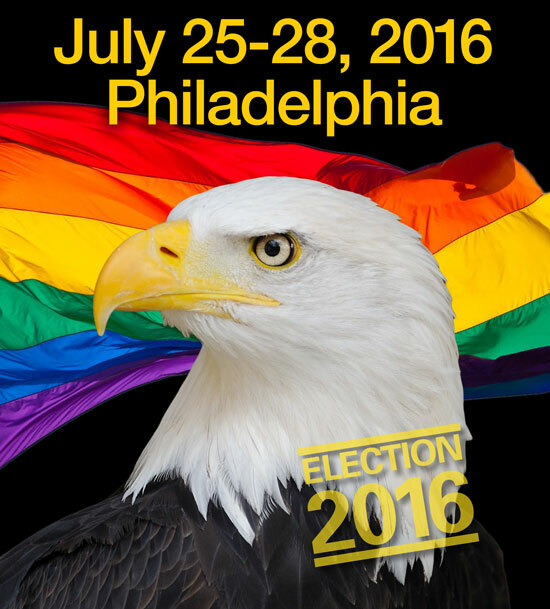 The lineup will include over 20 national LGBT leaders, elected officials, newsmakers & experts. Equality Forum 2016 will bring together prominent, national voices for discussions on the state & future of the LGBT movement & hold two historic marker dedications & award ceremonies. Beginning on Monday July 25th with its 21st Annual International Role Model Award VIP Lunch that will take place from 12P to 1P at the National Museum of American Jewish History in the 5th Floor Ballroom. David L. Cohen, Special Advisor, Democratic National Convention & Sr. Executive Vice President, Comcast Corporation will host the event. It will be followed by the National Legal Panel from 2:30P to 4P with Moderator R. Bradley Sears, Executive Director of the Williams Institute, UCLA School of Law. Panelists will include James Esseks, Director, ACLU Lesbian Gay Bisexual Transgender & HIV Project, Roberta Kaplan, Counsel to Edie Windsor, Shannon Minter, Esq., Litigation Director, National Center for Lesbian Rights & Janson Wu, Executive Director, GLBTQ Legal Advocates & Defenders (GLAD) with Special Guest Jim Obergefell, Plaintiff, Supreme Court Marriage Equality Case who will be signing of his book “Love Wins” directly after the National Legal Panel. 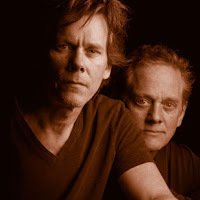 I've been meaning to catch The Bacon Brothers perform & finally I get my chance when they play The Cabot in Beverly, Massachusetts this Thursday July 14th at 8P. Michael & Kevin Bacon are currently touring the east coast through September playing their brand of gritty authentic rock that audiences have enjoyed the last 20 years. Though both brothers are individually gifted artists with older brother Michael an Emmy Award-winning composer & younger brother Kevin an accomplished Golden Globe winning actor music has always remained their passion since they were surrounded by music from an early age. Kevin stated, “My earliest memory of music was what my brother was playing or the music he brought home. I would sit on the steps of our basement while he was downstairs practicing with our sister, Hilda & their band. So my heroes growing up were all rock ’n’ rollers. I wasn’t really into sports, or even movies. If I could save money I’d buy an album.” So take this opportunity to catch The Bacon Brothers 2016 Summer Tour. Kimon Kirk will be the opening act for The Bacon Brothers gig at The Cabot. On a personal note I first met Kevin when we both worked on the CBS Soap “The Guiding Light”. He had just finished filming “Diner” & was about to leave the soap to pursue his film career. I took him to lunch to assure him he was making the right career decision. At the end of our lunch he thanked me, leaned over & kissed me. So that’s how I became a player in the trivia game Six Degrees of Kevin Bacon. 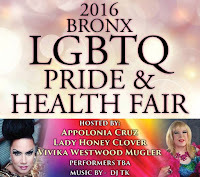 The Bronx LGBTQ Center & Montefiore Hospital hosts its annual Bronx LGBTQ Pride & Health Fair Saturday July 16th in Crotona Park near the amphitheater in The Bronx, NYC. The event begins at noon & runs until 6P. Bronx LGBTQ Pride is free & open to the public. 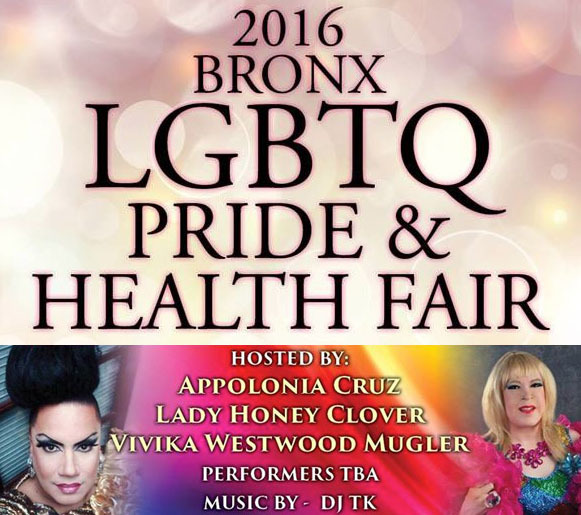 This year hosting the event will be The Bronx Diva herself Ms. Appolonia Cruz, Lady Clover & Vivika Westwood Mugler. The headlining performer will be Kevin Aviance & spinning will be DJ TK. There will also be performances by Hazee Reyes aka Tiffany Alofukit, Alexa DU Mont, Rob Vassilarakis Poet, Lucy Rodriguez Rios LIVE Performance, Brianna Lez-brianna, Constance Bústi-ae, Samore Love Princess Seqouia, Fern Gilford LIVE Performance, Damion Anthony LIVE Performance, Daniella Mendez Trans Activist, Eve Black, R Walton aka #BeX LIVE Performance, Ms Bamboo LIVE Performance, Chanel International, Lola L. Mendez, Ova Floh LIVE Performance, Randy Amadis Cruz LIVE Performance, BeBe Sweetbriar LIVE Performance, Tiffany Lazarre Diamondz LIVE Performance & Frankie Allday in a LIVE Performance. In addition to the performers who will entertain there will be a number of guest speakers who will address the crowd for just a few minutes on topics as diverse as HIV, Suicide Prevention, LGBTQ History, Pride & more. Local elected officials will also return this year in a strong show of support & exhibitors will include several health care organizations & medical providers will be on-site offering free health screenings & limited medical services. Campus Pride has announced dates & locations for their upcoming National LGBTQ Friendly College Fair Program 2016-2017 season. For the last ten years Campus Pride has held college fairs specifically for LGBTQ youth & their families to find the “Best of the Best” campuses with inclusive policies, programs & practices. The college fairs are hosted across the country & are free for prospective students & their families to attend. 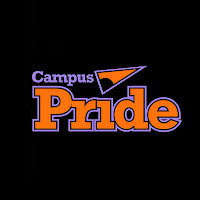 Shane Windmeyer, Executive Director of Campus Pride stated, “For the last ten years, Campus Pride has had a long-standing commitment through our national college fair program to ensure every LGBTQ young person has a pathway to post-secondary education. This includes highlighting the ‘Best of the Best’ campuses that are the most LGBTQ-friendly. We are excited to have another year of growth & expansion with seven fairs in different cities and to continue our online fair providing greater access for all LGBTQ & ally youth. Now more than ever, LGBTQ youth & families want to know what campus is the best when it comes to academics, safety & inclusion. The college fairs have been that place to find the campuses who take responsibility for LGBTQ youth.” College Fair Dates are: Charlotte, North Carolina - Saturday, August 20, 2016, Boston, Massachusetts - Friday, October 14, 2016, Atlanta, Georgia - Saturday, October 8, 2016, St. Louis, Missouri - Saturday, October 8, 2016, Los Angeles, California - Saturday, October 29, 2016, Vancouver, Washington - Tuesday, October 25, 2016, New York City, NY - Thursday, November 3, 2016 & Online College Fair & Prep Day is Wednesday, November 8, 2017. With Massachusetts Governor Charlie Baker signing into law “An Act Relative to Transgender Anti-Discrimination” which prohibits discrimination on the basis of gender identity in public places the Commonwealth becomes the 18th state to do so. Our LGBT community responds with statements of praise. Dr. Steve Boswell Fenway Health President & CEO stated, “We applaud Governor Baker for signing the transgender anti-discrimination bill into law. This marks an important moment in the Commonwealth. 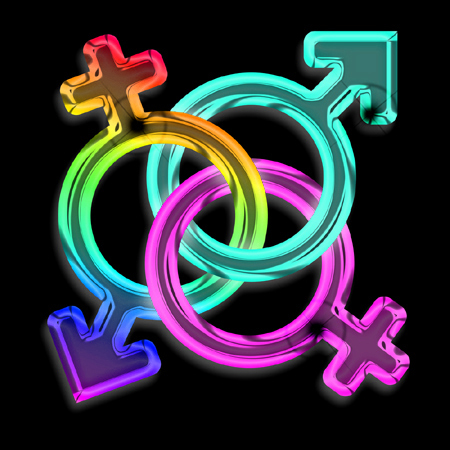 Everyone, regardless of their gender identity, deserves full & fair protection from discrimination. The benefits of being able to exercise civil rights in public spaces such as restaurants, hospitals & public transit impact an individual’s ability to work, to participate in community life & even their ability to manage their health. As research from The Fenway Institute has shown, discrimination against transgender people in public spaces is associated with an increased risk of symptoms of poor health, as well as an increased likelihood to postpone or not seek needed care when sick or injured. It is increasingly clear that good public health is closely connected with the ability to live free from stigma & discrimination. The implementation of this law will mark an important step forward in achieving that goal.” Sylvain Bruni, President of Boston Pride added, “By passing legislation that will ensure that transgender men & women are protected against unwarranted discrimination in public, Massachusetts continues to make strides on LGBTQ issues…We thank Gov. 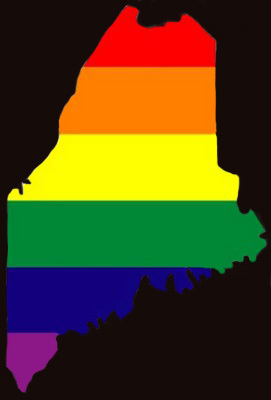 Baker for signing this law, ensuring that our Commonwealth joins 17 other states, Washington D.C. & more than 200 cities & towns across the country that have passed non-discrimination laws protecting gender identity in public spaces. We look forward to a day when all are treated with respect, fairly & equally, regardless of sexual orientation, gender identity & expression, or race & ethnicity.” The law takes effect October 1st 2016. UPDATE: Governor Charlie Baker has signed into law “An Act Relative to Transgender Anti-Discrimination.” The Massachusetts Senate & House of Representatives has finally approved the compromise version of the Transgender Anti-Discrimination bill. 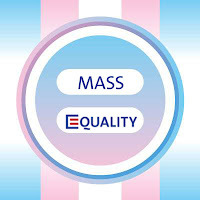 Deborah Shields MassEquality Executive Director stated, “Massachusetts has taken a significant step in establishing full equality for all LGBTQ people. 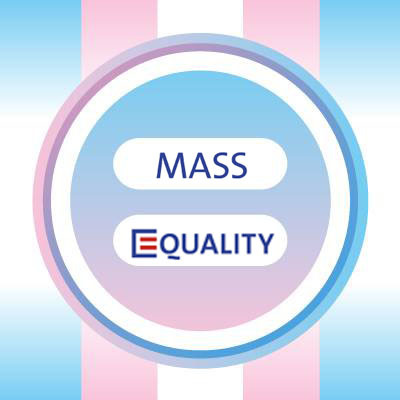 MassEquality joins the Massachusetts transgender community in celebrating today’s votes in the House & Senate to approve the Transgender Anti-Discrimination bill & send it to the governor’s desk. We urge Governor Baker to sign this bill without delay & finally finish the work of securing equal protection under the law for transgender people everywhere in the Commonwealth. We are very happy to see that the legislators saw fit to add the emergency preamble to the bill & to set October 1st as the law’s effective date. We trust that the MCAD & the Attorney General’s office will be issuing guidance by the September 1st date set by the bill & will develop provisions that protect the rights of transgender people to access all public accommodations. We once again extend our sincere thanks to the members of the Senate & House Conference Committee—Chairs Sen. William Brownsberger & Rep. John Fernandes, Sen. Sonia Chang-Diaz, Sen. Bruce Tarr, Rep. Sheila Harrington and Rep. Sarah Peake—as well as Senate President Stanley Rosenberg & Speaker of the House Robert DeLeo for their leadership and consistent support of this bill. We also thank Sen. Sonia Chang-Diaz and Reps. Denise Provost & Byron Rushing for sponsoring & championing this legislation & all the lawmakers who voted in favor of the bill as it made its way through the House and Senate.” MassEquality is the leading statewide grassroots LGBT advocacy organization working to ensure that everyone across Massachusetts can thrive from cradle to grave without discrimination & oppression based on sexual orientation, gender identity, or gender expression. 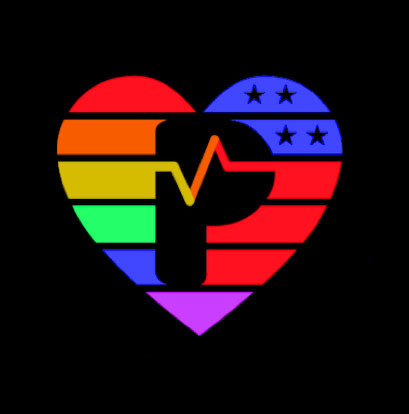 In response to the nation’s worst mass shooting in history & stalled efforts in Congress to implement gun reform members of the LGBTQ community announced the formation of the Pride Fund to End Gun Violence (Pride Fund). This political action committee (PAC) will support federal candidates who will act on sensible gun policy reforms & champion LGBTQ equality. In the first few days of fundraising the organization has raised nearly $20,000. Pride Fund plans to have a strong impact in November & is well on its way to raising its initial goal of $500,000 for this election cycle. Jason Lindsay, Pride Fund Founder & Executive Director stated, “The Orlando massacre was yet another senseless act of gun violence in America & the LGBTQ community & our allies are united in the call for action on commonsense gun reforms. We are tired of Congress’ inaction, so we are adding the strength & organization of the LGBTQ community to help end gun violence. This is a call-to-action for all Americans to stand up & take political action to end gun violence. Pride Fund gives the LGBTQ community & its allies a strong, concentrated voice to fight back against politicians who are unwilling to act on this important issue. While it will take strong citizen action, fundraising & political muscle to take on the robust financial power of the gun lobby – the LGBTQ community, with the help of its allies, has succeeded before & we plan to do so again.” Lindsay is a seasoned political operative with 12 years of experience working in politics, government & campaigns. He also served for 14 years in the U.S. Army Reserve & was deployed to Iraq in 2003. Kristen Porter presents Boston’s largest dance party for LGBT women this Saturday July 9th at Machine 1256 Boylston Street from 9P to 2A in Boston, MA. The Second Saturday located downstairs at Machine Night Club features two rooms, their hot gravity defying pole dancers, gigantic dance floor, 4 pool tables, 4 bars, state of the art lighting & sound system along with your fave queer staff & hundreds of friends new & old. 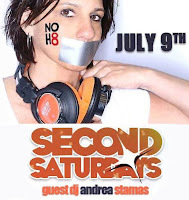 July welcomes the best DJ in New England with guest DJ Andrea Stamas. DJ Andrea Stamas stated, “I am so excited to be Boston bound again. Being this month’s guest DJ for one of the longest running events, ‘Second Saturday’ is just crazy cool in my book! This night promises to be an absolute blast filled with great music on a gigantic dance floor & with me up in the DJ booth. What can I say; it doesn’t get any better than that!” DJ Andrea Stamas has been showcasing her keen spinning skills in recent years at both Boston & North Shore Pride events, closing parties at Women’s Week, Upstairs at Murphy’s Pub, The Great American Tavern & KiKi Entertainment. 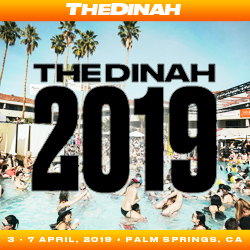 Her DJ skills are highly versatile & she is well known to play multiple Genres throughout her sets such as Top 40, Dance, EDM, Hip Hop, Mashups, Old School, Club Classics & everything in between. If you RSVP you will be entered to win a pair of FREE PASSES! They will announce the winner on their Facebook event page July 9th. In light of the recent murder of 49 Latino & Black LGBT people in Orlando, Florida & on the heels of escalating & unprecedented misguided legislative efforts to pass discriminatory laws, the nearly 7,000 delegates at the National Education Association Representative Assembly (RA) have approved a new business item calling on the Association to join a national effort to prevent acts of violence targeted at LGBTQ individuals & to protect their civil rights. The RA is the top decision-making body for the 3 million-member National Education Association. Lily Eskelsen García NEA President stated, “Every student matters & every student has the right to feel safe, welcomed & valued in our schools. 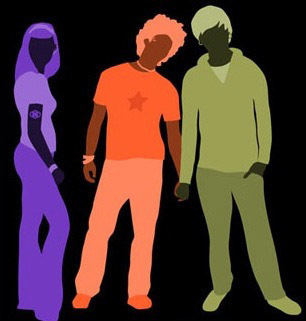 Educators are responsible for our students’ education & safety, including those students who are perceived or identify as lesbian, gay, bisexual, transgender, or questioning. 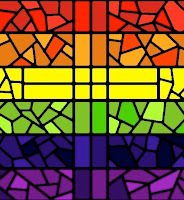 Unfortunately, due to the recent horrific event in Orlando & the actions in state houses across the country where politicians are playing games with the lives of children & teens who are seen as different, now is the time for educators to boldly & assertively assume a leadership role in this human & civil rights issue. The action the delegates took today is not only timely & right but also necessary to ensure that everyone – regardless of gender identify or expression – has the opportunity to thrive & achieve.” LGTBQ students are more likely to face bullying & harassment in school, causing them to do poorly in school & even prompting them to drop out at higher rates than other students. Additionally, they suffer high rates of homelessness than other students. California Governor Jerry Brown has signed into law six gun safety bills that ban possession of high capacity assault rifle magazines, regulate the sale & possession of ammunition, expand background checks, limit loans of firearms & ban the resale of a gun to someone legally barred from purchasing it. 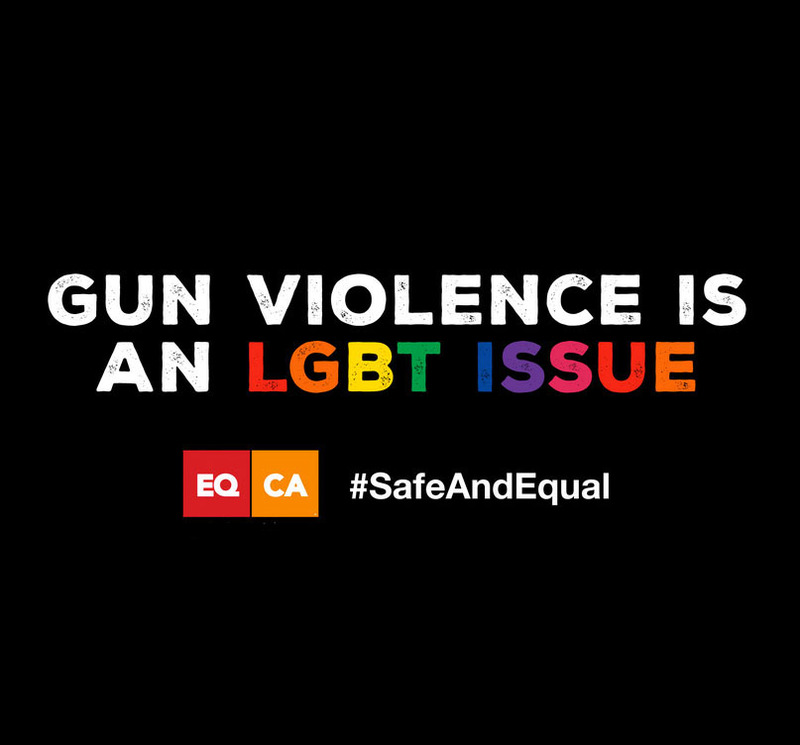 The new laws were supported by Equality California & 19 other LGBT & HIV organizations as part of Equality California’s Safe & Equal campaign against gun violence. 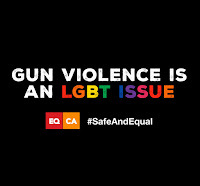 Rick Zbur, Executive Director of Equality California stated, “The bills signed into law today are a historic step in keeping Californians safe from gun violence. We’re grateful to the governor, to Senate President Pro Tem Kevin de León, to Assembly Speaker Anthony Rendon & to members of the legislature for maintaining California’s leadership in enacting tough, commonsense laws that protect all of us.” Equality California is the nation’s largest statewide LGBT civil rights organization dedicated to creating a fair & just society. 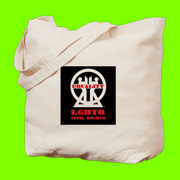 Their mission is to achieve and maintain full & lasting equality, acceptance & social justice for all people in diverse LGBT communities, inside & outside of California. Through electoral, advocacy, education & mobilization programs, they strive to create a broad & diverse alliance of LGBT people, educators, government officials, communities of color & faith, labor, business & social justice communities to achieve their goals.